The abuse of prescription medications, alcohol, and illicit drugs is a problem in every community in the United States. Addiction is a treatable disease, but the National Institute on Drug Abuse (NIDA) warns that some of the low-intensity outpatient programs available do little more than offer education. How do you know if a program is really going to help you or a loved one beat addiction? In this article, we will examine what to look for in Tampa outpatient drug rehab programs according to NIDA. One of the purposes of NIDA is to “advance addiction science.” By studying what treatment approaches work, they have outlined the principals that make drug addiction treatment effective. Using this information, one can better choose an outpatient rehab near me in Tampa, FL. The following principals of treatment for substance use disorder can assist you in choosing the right rehab program. Drugs and alcohol have a lasting affect on the brain; it changes the way the brain functions – it even affects its structure, like other mental disorders. What this means for Tampa outpatient drug rehab programs is that the mental disorder should be treated as one. Therefore, programs that only look to help the person through detox or provide addiction education are not effective by themselves. An outpatient addiction treatment program should treat the mental disorder, too. An addict’s causes of addiction, their personality, background, and other factors that can affect treatment approaches must be accounted for when treating addiction. 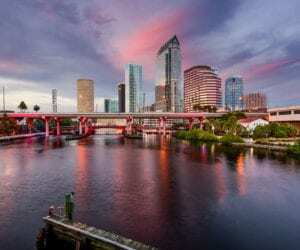 What this means for Tampa outpatient drug rehab programs is that they should be tailormade to each person, matching intervention, setting and treatment services with the individual. When a comes to a mental disorder such as addiction, there isn’t a quick fix. The amount of time that a person spends in outpatient addiction treatment is crucial to their success. According to NIDA, at least three months of consecutive treatment is needed for it to be optimal. It is essential in helping the person reduce or stop their abuse of drugs or alcohol. Of course, this minimal treatment period can be completed through a combination of inpatient, outpatient, aftercare services and support groups. It’s common to hear about an addict trying to stop several times before finally stopping their substance abuse. In cases of severe addiction, medications can play an important role in their recovery and relapse prevention. These medications can be used over the long term to prevent relapse, such as the medication Antabuse. It works by causing an unpleasant reaction when the person tries to drink any alcohol. By itself, medications aren’t as effective, but when combined with therapy and counseling in Tampa outpatient drug rehab programs, it can be the only way that some people stop with their abuse of alcohol or drugs. The willingness of the addict to start with their recovery isn’t required for them to gain the benefit of treatment. If a teen were to become addicted to opioids and refuse to go to treatment, ultimatums, sanctions and enticements from the family that forces them into treatment at an outpatient rehab near me can result in treatment success. Oftentimes, people in Tampa outpatient drug rehab programs go through a transformation as the disease of addiction becomes managed.